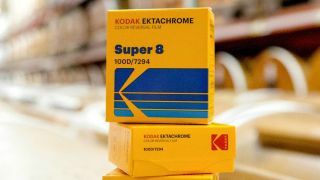 Kodak Alaris, the Hertfordshire-based company that manufactures Kodak photographic supplies, is reportedly up for sale, with a deal for its PPF unit (Paper, Photochemicals and Film) expected by the end of March. According to the story by Inside Imaging, the paper chemistry and film business – which is conservatively valued at £34 million and has been on the market since January 2018 – has received interest from more than one potential buyer. "Management is actively marketing the business and expects to complete a sale of the PPF business before 31 March, 2019," stated the company in its financial report. "We are in advanced discussions with a bidder to sell the PPF business and all of its assets," added chairman Mark Elliott." Kodak Alaris was founded in 2013 when Eastman Kodak filed for bankruptcy. To resolve a £2.8 billion claim by the UK Kodak Pension Plan (KPP), Alaris was formed with KPP as its sole shareholder to market Kodak-branded photographic and business products. The KPP fund maintains a deficit of £1.5 billion, and its trustees have instructed Alaris' directors to "undertake the exploration of an orderly disposal of the Group or its component businesses", which comprise PPF along with Kodak Moments (formerly Consumer Imaging), Alaris (document scanners) and AI Foundry (business software). "If offers reflecting the true value of the business are not received, then ownership of Kodak Alaris will pass to the (Pension Protection Fund) who will manage the asset in the same way as other scheme assets that are acquired," said Nigel Moore, chairman of the KPP trustees. It's all very messy, and not just on the financial side. Having closed its Harrow plant in 2016, Kodak Alaris no longer manufactures its paper, chemistry or film products. Rather, its key supplier is Eastman Kodak. So while Alaris resurrected and sold Kodak Ektachrome film last year, it was Eastman Kodak that actually produced it. And Alaris has nothing to do with cameras such as the Kodak Smile Classic, which is from Eastman Kodak. Though neither or them have anything to do with the whole Kodak cryptocurrency thing. Hopefully, for Kodak Alaris at least, a swift sale and more stability will indeed happen in March, so we can get back to being confused by who's marketing which Kodak product on any given week.